FindSpace.in blog: Amazon Book Store: Why Indian E-tailers Should Follow Amazon's Footsteps? Amazon Book Store: Why Indian E-tailers Should Follow Amazon's Footsteps? One of the weirdest yet interesting thing that I found on the web was that Amazon opened it's first-ever brick-and-mortar retail store in it's 20-years of business. 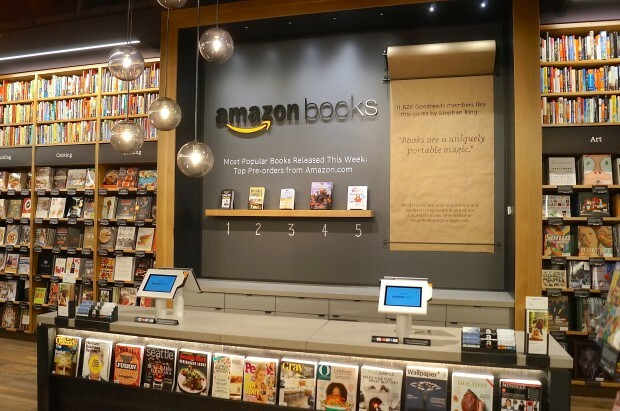 The Amazon Book Store itself is like any other store on the street with wooden racks, 5000-6000 books and a cute Kindle Book offering visitors a chance to browse through their favorite reading list. Amazon being the largest online marketplace and one of the most popular company serving customers in 15 different countries across the world, took a chance of opening a physical store. This seemed silly on my part until I thought of why they did that! The Amazon Book Store offered something that online marketplace was not able to offer for 20 years, “the instant gratification of owning an item the second it was purchased and a personal opinion about a product from an experienced salesperson”. Apart from this, Amazon was also confident that the data generated by this exercise will be very helpful in selling the series of Kindle E-books on the website and Kindle Store. The vice-versa also works! The reviews and feedbacks on website will provide an idea on what to sell in store and how to stock up the store. There was no surprise on my part when I heard this, but a glimpse of shock at why anyone else hasn’t thought about it. Although Seattle was the destination for this venture, I had a good look at the pictures sitting here in India. I think best part about the Amazon Store was that it was showcasing authors and their work, rather than just racking up books. What should we learn from Amazon Book Store? It feels good to have a Physical Store of an Online Marketplace. We could just look for something on the web and buy it instantly from the store at the same price. We can educate people better about a specific brand or a series of products. Have the experience and physical comfort in buying the same from online. Build a trust in people who are afraid of online shopping. The most important part – Brand Awareness! One of the best outcome from having a physical appearance of an online marketplace, at least from Amazon’s findings is that offline retail is a big space with room for lots of winners. So, integrating both Online and Physical visibility can bring in a lot of awareness, marketing and promotion to all segments of a Brand Line. Why should Indian e-tailers follow Amazon's footsteps? Test the Market: Opening a Physical Store allows brand's to engage in test marketing new products and promotions to gauge future demand. Reach Audience: Although, the number of online shoppers have increased by 120% last year, there still 60% that can be reached and encouraged to do online shopping. Brand Extension: Businesses can extend their brand and build awareness. For online businesses, especially, physical shops provide a way to interact with customers face-to-face and also educate them about new products, services and features. Stay ahead in the Competition: Now that anyone can buy anything, sitting anywhere in India, people are getting used to online shopping. One of the best ways of being at the top of the competition is integrating the online & physical store and exploring the findings from both to serve customers better. Surprisingly, none of the big giants of India like Flipkart, Snapdeal, Myntra, Jabong, etc have not yet tapped into physical market, even after Amazon has shown the path of serving customers better. But, I recently read about the new 2,500 sq. ft. “Studio Pepperfry” in Kanjurmarg, Mumbai, where a range of furniture's are showcased from Pepperfry.com's online portfolio. As per Pepperfry, this place lets you experience the cutting edge designs, ranging from contemporary to classic, from ethnic to eclectic". After I read more about Studio Pepperfry, I felt someone is thinking right and exploring options in India! One of the best outcomes from having a physical appearance of an online marketplace, at least from Amazon’s findings is that offline retail is a big space with room for lots of winners. So, integrating both Online and Physical visibility can bring in a lot of awareness, marketing and promotion to all segments of a Brand Line.